India 24 December 2016: Oats are a versatile cereal and can be enjoyed both in cooked or raw form. Its difficult to chew raw oats, cooking works to soften them making it easier ti eat. If you want to eat them raw you can soften them by soaking a cup of oats in two cups of water for 2 hours. You can use a blender to blend this raw oatmeal along with water and then consume it. Steel-cut Oats are basically whole oat groats that have been steamed and cut into pieces.They are considered to be most suitable for breakfast. Steel cut oats are coarse and hard to chew. They need to be soaked overnight in hot water and cooked the next morning to make a healthy whole-grain breakfast. You can also use a blender to blend it. 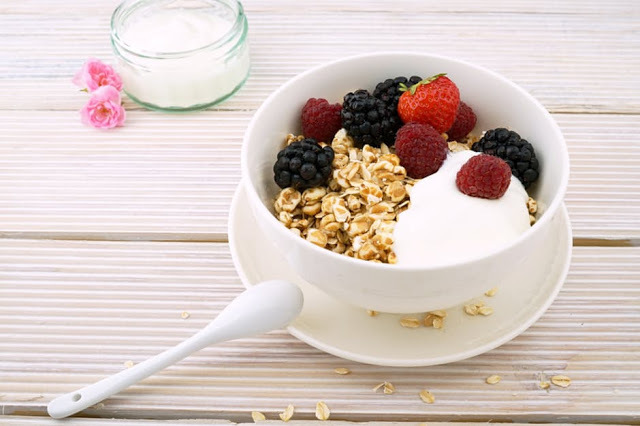 These type of oats are available in stores in small packets and are considered to be the least nutritious form of this healthy cereal, due to sugar and additives. Instant oats have a flour-like consistency and have been heavily processed, steamed, rolled, dehydrated and toasted. These oats are can be cooked in a minute or two. If you plan to have instant oats then you should prefer plain instant oats as the flavored ones have a high sugar content. Generally instant oats have added nutrients as they have been stripped of their original nutrients. This amazingly healthy bread is made from oat flour, oatmeal bread is extremely nutritious and taste as good as regular toast. You can make your own oatmeal bread at home. Oat meal cookies are a perfect combo of taste and nutrition. People generally enjoy having them with peanut butter or chocolate bits. Oatmeal cookies make for a filling snack. Even kids enjoy these deliciously healthy cookies. Ground oats with the husk intact are known as Oat bran. This type of oats are difficult to digest and should be soaked before using them to soften them a little. These oats are generally added to smoothies to add a fibrous and nutritious touch to them. Cooked oats are relatively sweeter than the uncooked ones and also easier to chew. Various types of oats require different styles of cooking and take different time to cook. To cook Rolled oats it takes 15 minutes approximately, while steel cut oats takes about 30 minutes to be cooked. Oat groats, take more time and water to be cooked perfectly. It takes around 50 minutes to be cooked. The best way to enjoy oat groats is to add these oats to cold water and simmer. These type of oats can be added in many dishes. Oats are added to smoothies or green smoothie to make a completely filling meal or snack. A hot bowl of oatmeal with fruits and nuts in the morning makes for a tasty and nutritious breakfast. Oat flour is an healthier alternative instead of corn flour to thicken sauces and soups. You can add this flour while the soup is being heated so that it becomes thick. You can use it as a coating for tofu. Just dip the Tofu can be dipped in milk and then in oatmeal and fried to make it more crispy. Did you know you could make pancakes or porridge using oatmeal. For making porridge soak your oats in the fridge overnight and eat the porridge the next morning. Oat bran works amazingly as a sprinkling agent on your hot or cold cereal. whole oats or oat flour can be used to make bread or muffins. It is extremely flexible, oat flour can be easily used in making pastas, muffins, and croissants.